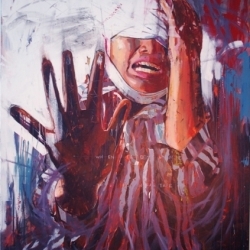 A young artist with an innate talent for capturing human emotion, Nik Mohd Hazri continues to demonstrate improvement with each exhibition he participates in. 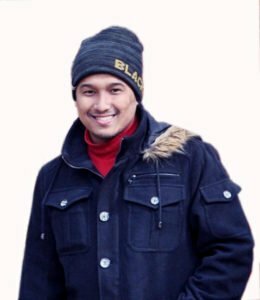 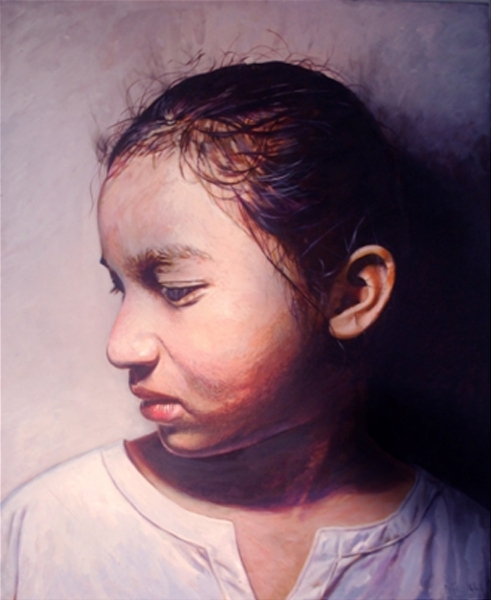 Originally from Kuala Krai, Kelantan, this 26 year-old artist is a recent Bachelor in Fine Art graduate from UiTM Shah Alam. 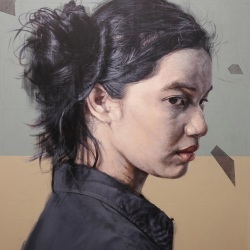 During his young career thus far, Hazri has already gotten the attention of Malaysian art enthusiasts who see great potential and a long fruitful career ahead for the young artist. 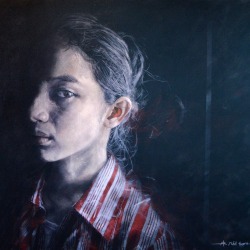 It would not be an exaggeration to say that Nik Mohd Hazri was born with a natural talent in art. 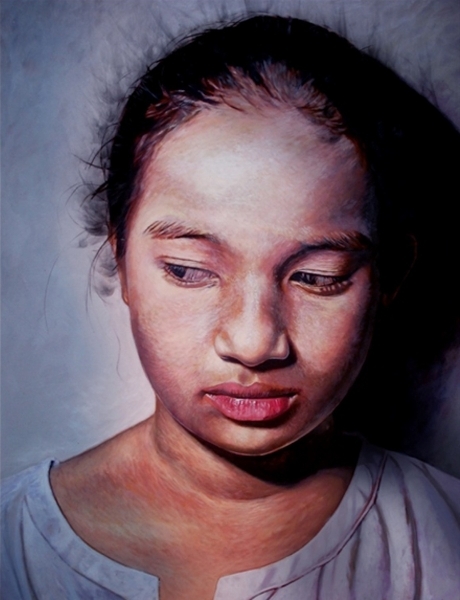 Looking back at the awards this young artist has won throughout his years in school, art has certainly been a important part of his life since the days of his primary and secondary schooling. 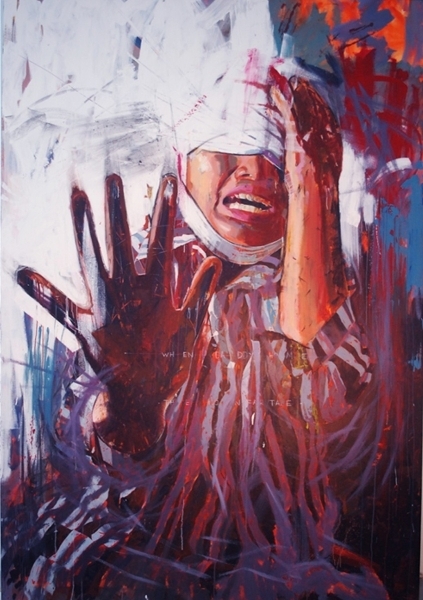 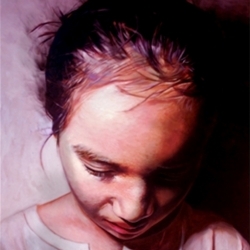 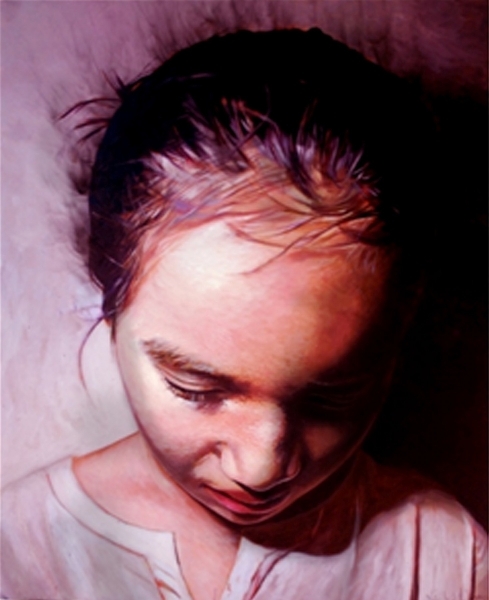 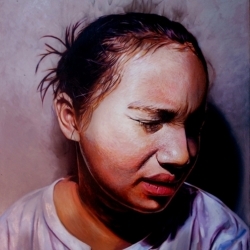 The “Prologue” exhibition held at Artemis Art in 2013 saw all of his exhibited works sold. 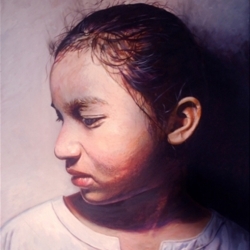 Later the same year, he was involved with a mural project at Publika with colleagues from the Intuitive Art Group, of which he is a member. 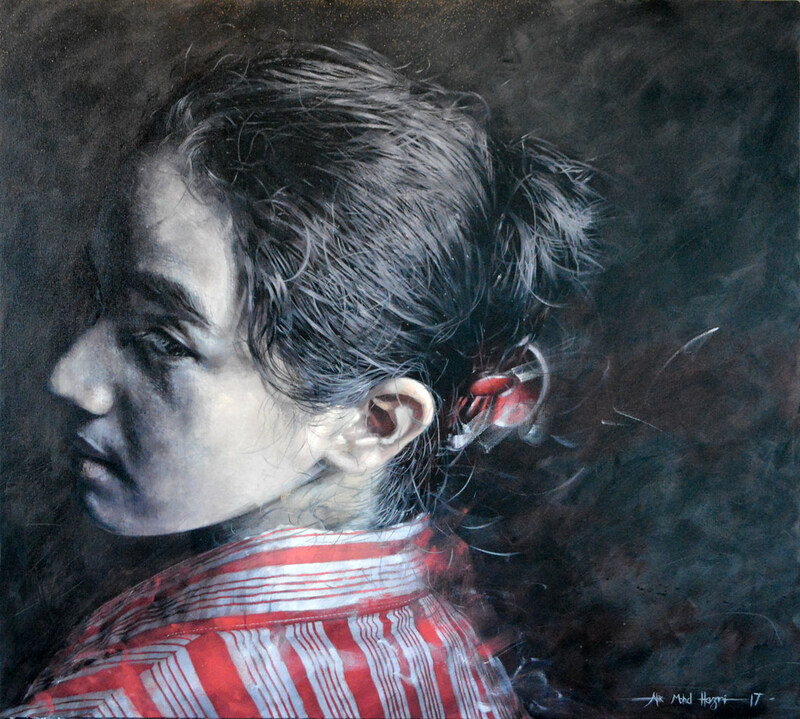 “Carbon”, another exhibition by the Intuitive Art Group held at Artemis Art in 2013, saw a more experimental side to this artist. 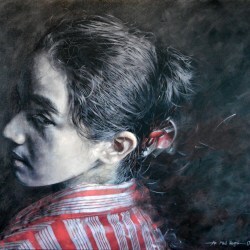 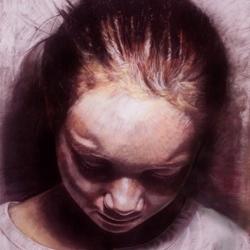 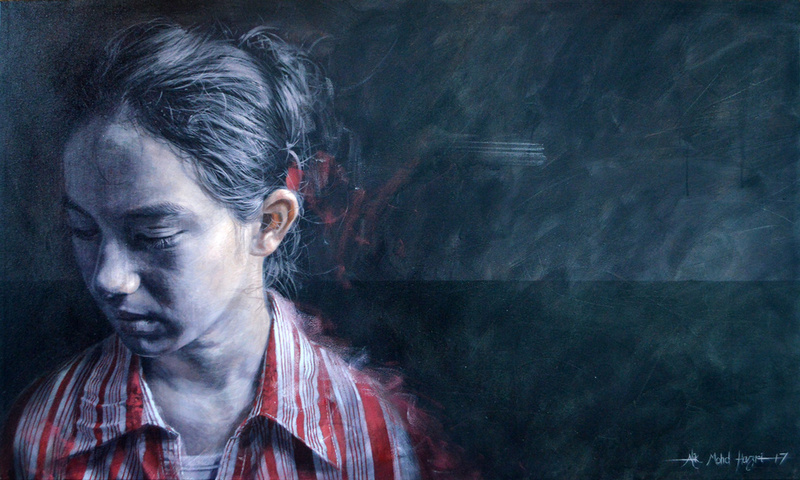 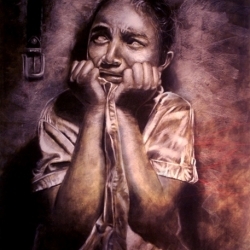 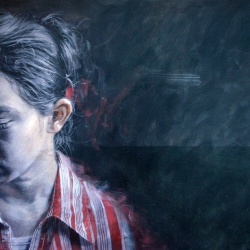 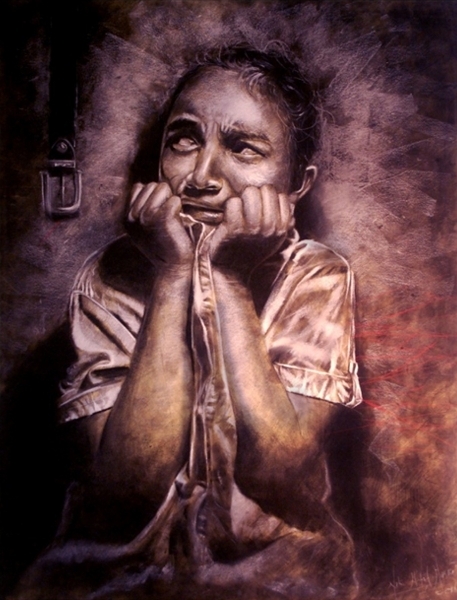 The use of alternative media (acrylic, pencil, and soot) on canvas, further shows this artist’s ever improving ability. 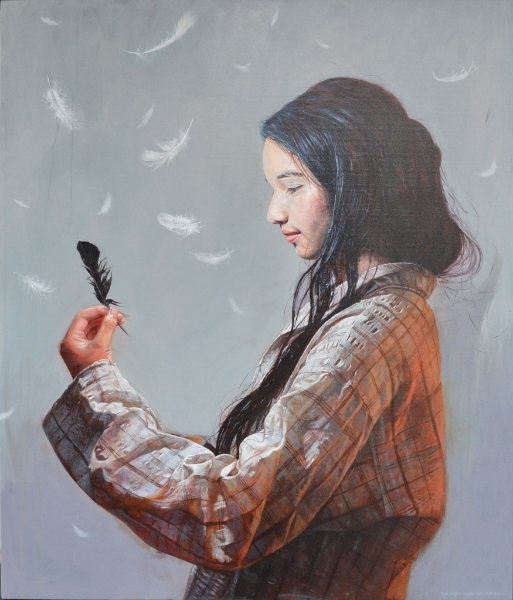 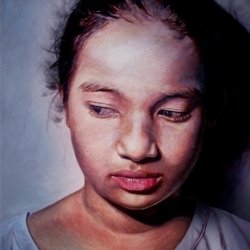 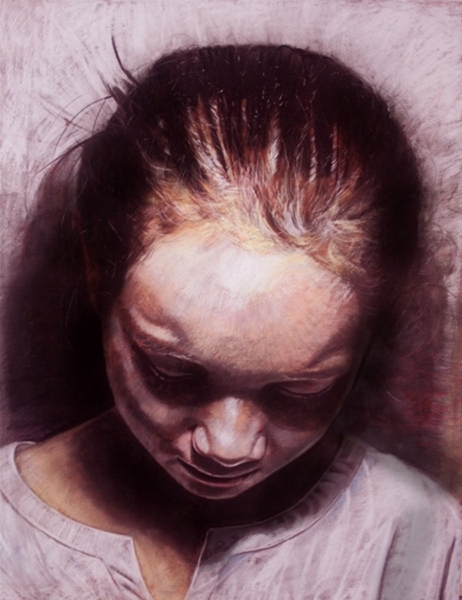 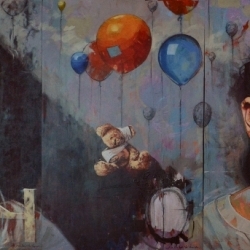 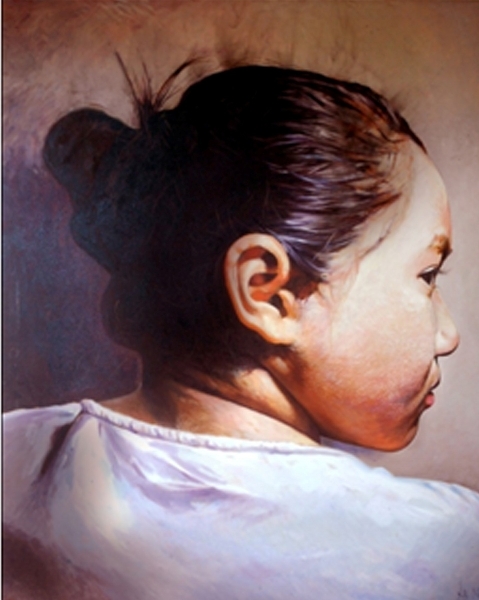 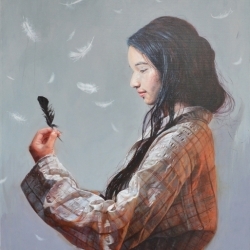 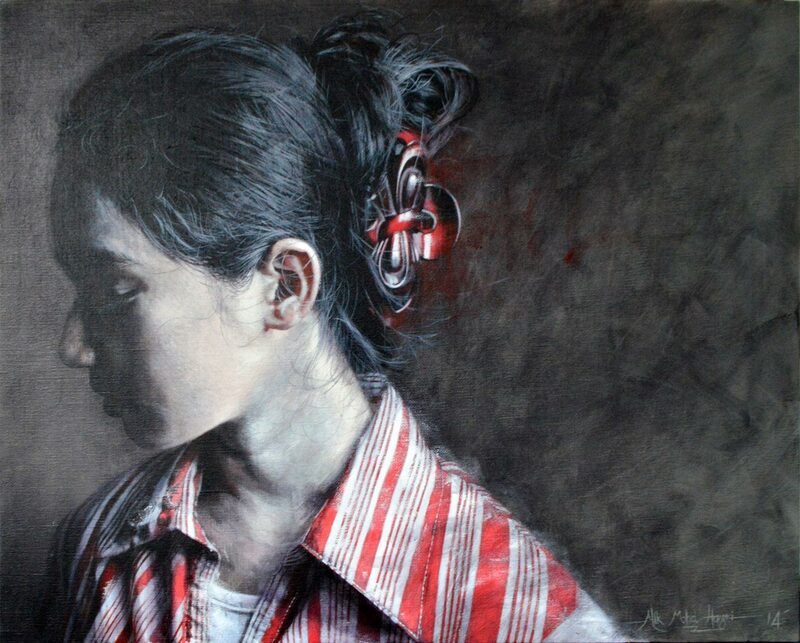 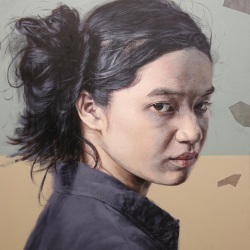 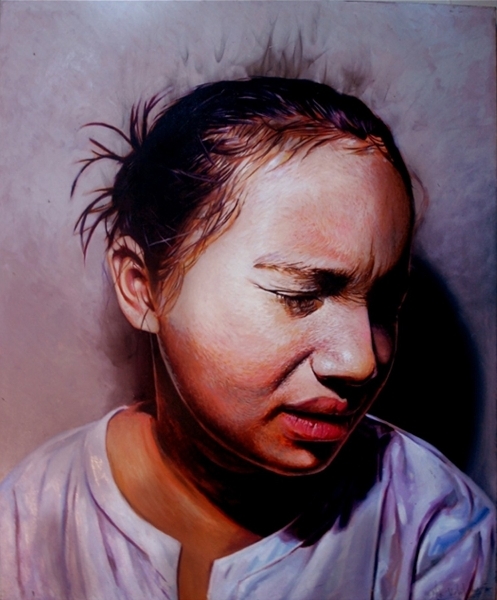 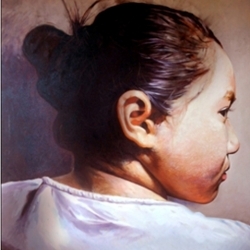 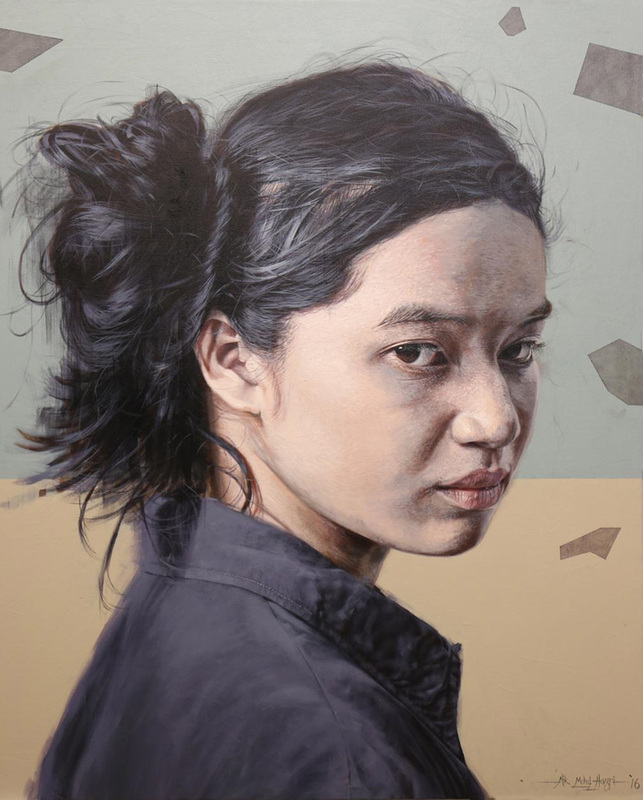 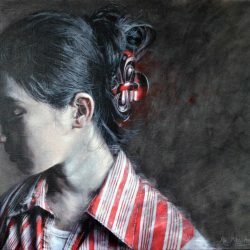 Post-graduation, this young talent has participated in a few group exhibitions, as well as the annual Malaysian Art Expo where all his works exhibited were sold. 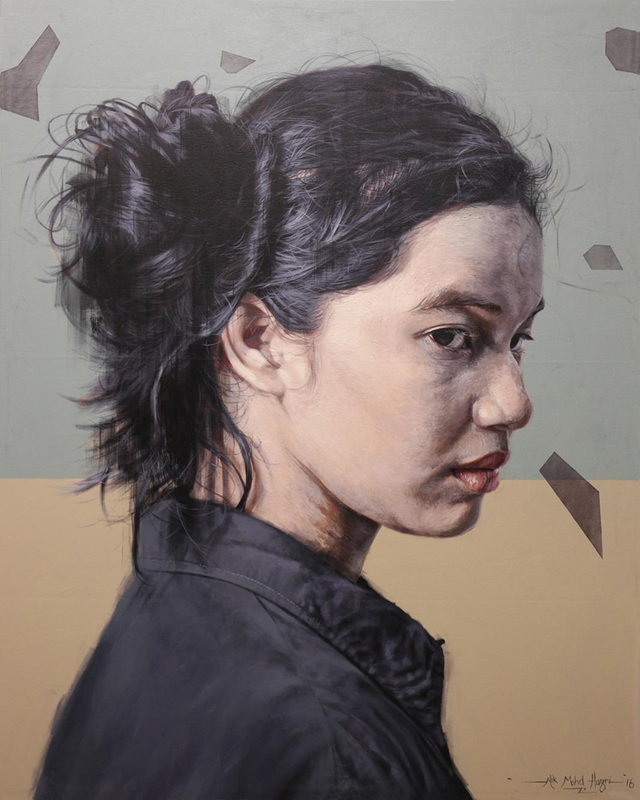 Adept at both realist and expressionist styles, we expect that this young artist will be a name to look out for in the coming years. 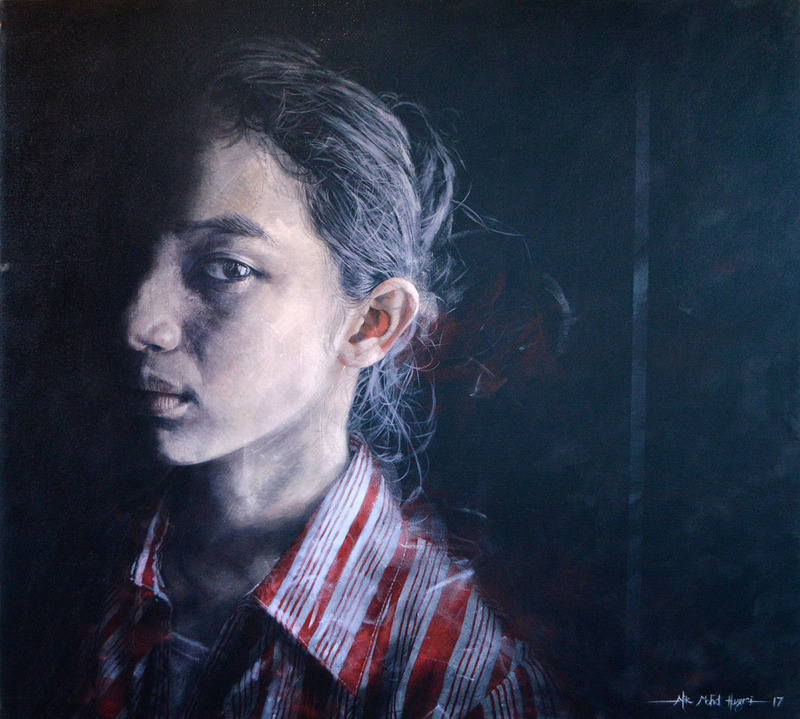 Most recently, Artemis Art has featured Nik Mohd Hazri’s works in our 5th anniversary exhibition, We Are 5, and look forward to more collaborations with this talented young artist in time to come.